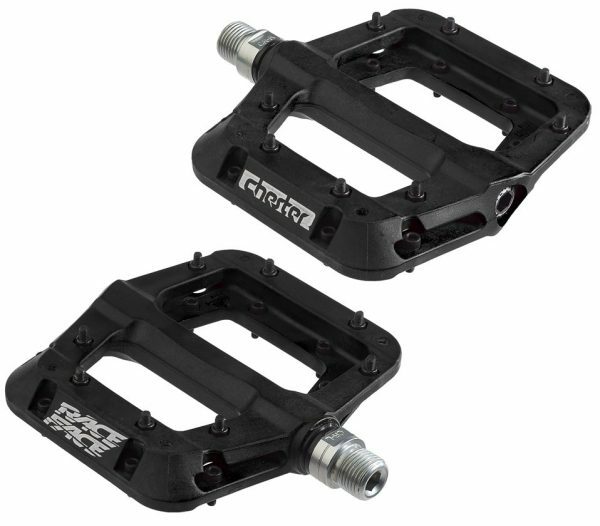 The Race Face Chester Pedals are the newest addition to the Race Face flat pedal line up. 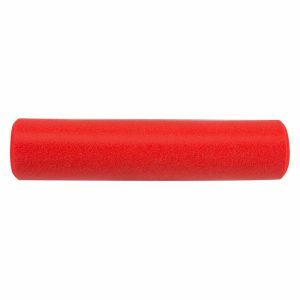 This tough and burly nylon composite body provides a large platform with the same grip as traditional alloy pedals via the bottom loading 8 hex traction pins per side. 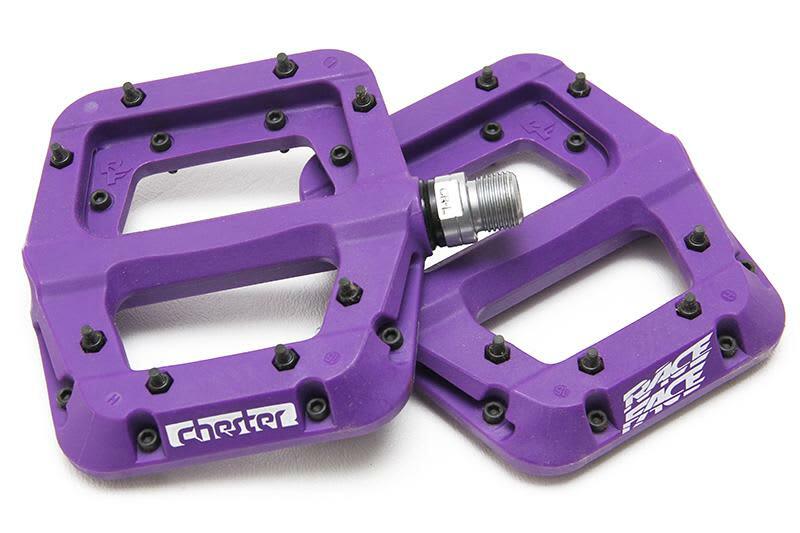 Thin and lightweight is the name of the game with the Race Face Chester Pedals, featuring a cro-mo axle that is fully sealed and a 100% serviceable bearing and bushing system. 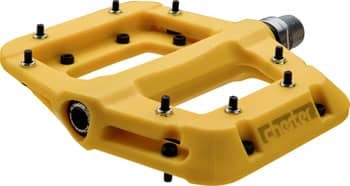 This Race Face platform pedal offers great performance for a wide range of riders at a price that leaves plenty of cash in pocket to spring for that round of bevies at your local watering hole after hammering out a day of hot laps with the crew. So say Chester! and go out riding! 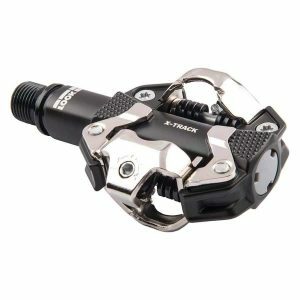 MTB Clip Pedals available here. 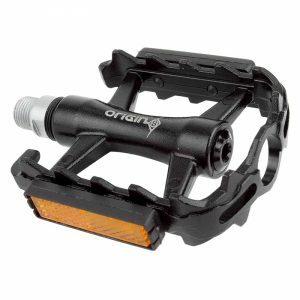 Our favorite platform pedal because you can beat on it and it will still perform. 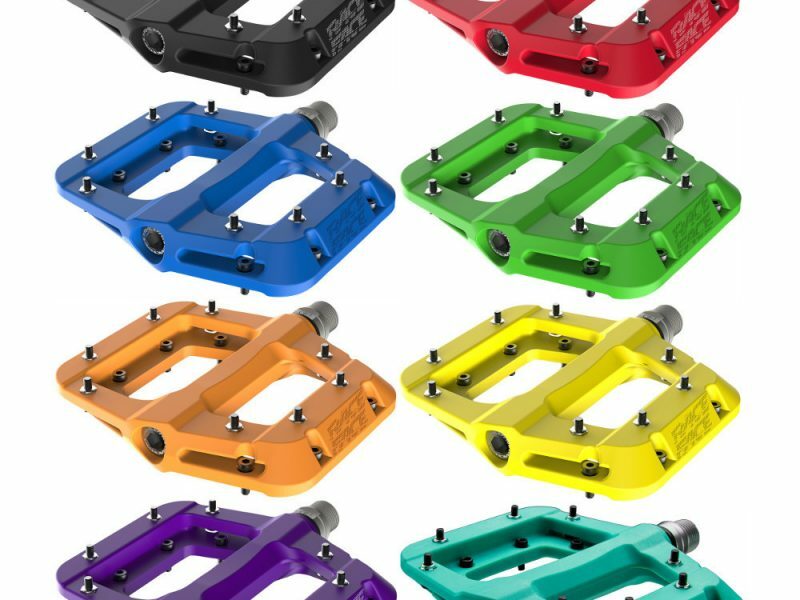 Great platform, supper grippy and strong bearings…. not to mention great colors.